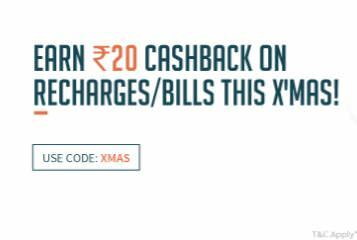 FreeCharge Loot – Recharge Loot Offer : Get Rs 20 Cashback On Recharge Of Rs 20 – ( All Users ) : FreeCharge Christmas Offer. Freecharge is now offering an amazing offer where you can get Rs.20 cashback on Rs.20 On Mobile Recharge From Freecharge App. Offer is valid for all users.